No, I’m not making any money out of this. In fact sharing my experience booking hotels in Thailand and surrounding countries, I risk to render some bargains obsolete. Realise that the hospitality industry are basically selling dreams you want to believe in. Almost anything you can imagine to make you feel more comfortable is for sale. For the industry it’s not easy selling a product with the mystery of a dream element as tangible. Like a movie you first have to watch it before you can fully judge. All you get is a sneak preview, whereby you have to rely on ratings, comments and hearsay. In Thailand and a part of S-E Asia Agoda is the biggest hotel booking agency followed by Booking.com. For example in Bangkok Agoda lists about 850 hotels vs. Booking.com 660. Reason for the higher market share is that Agoda was founded in Thailand in the late 1990′s and became popular during a time when booking hotels in Thailand through internet was still underdeveloped. Since hotels are obliged to provide the room you booked they will often allocate a number of their rooms with Agoda, another number with booking.com and quite often reserve a number of rooms for other booking agencies or last minutes. So when a hotel is listed as full at one agency, don’t despair yet, it is quite possible that there are rooms available at another agency. A way to find out is to check Tripadvisor, which currently tracks four booking companies. Forget about stars except when you want to impress your friend or partner and/or minimise risks at any cost. In this case you go for 4 or 5 stars. Personally, I try to ignore stars and target for mid-range hotel bargains, usually these accomodations will have about 2.5 till 3.5 stars. By default Agoda and Booking.com will list hotels by recommendation score’s and more often than not you will find the most expensive (five star) resorts on top. High scores often seem to say one can only be satisfied when paying lots of money. Although this currently might increase the commission of booking agencies, it is far from being representative for the product on offer. Ratings by booking agencies are not only misleading due to false assumptions and wrong calculation, other factors influence scores as well..
My own rating theory is very different from how current scores by guest reviews work. Especially in the high end sector, prestige matters, it’s hard to admit one could have been better off. Likewise in the low end sector, it’s hard to admit: “I should have known”. Fact 3: Reviews assume that all rooms in the premises are like the one people booked. Under normal circumstances one will only get to experience their own room. So there’s little comparison to other rooms. Reviews do usually not mention room type and the special offer someone’s got, so in fact you’re simultaneously evaluating different products with different prices. It looks like reading various car tests from the same brand without knowing price and model. Fact 4: Part of reviews are manipulated. Scores from hotels with a small number of reviews are unreliable and could have easily been organised by parties involved. I know of mid-range and low range hotel owners who ask friends or give out free drinks to write positive reviews to compensate for bad ones, usually on independent sites like Tripadvisor, google maps reviews or zoover.com. When you’re reading older critical comments, it could be that in the mean time the problem has been fixed (construction noise next door, bad or no wifi, etc.). The opposite might also be true. When in doubt call. Fact 6: Photo’s are often deceptive and lead to dissappointment. 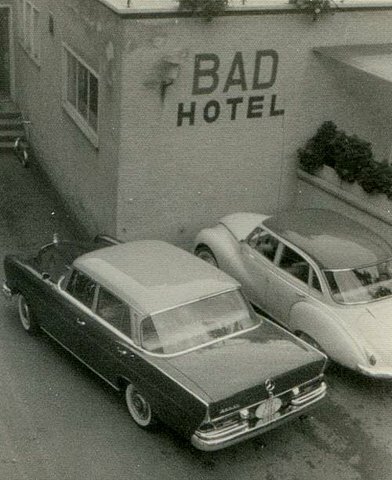 Often photo’s are taken after the hotel was just built. Keep in mind the age of the hotel and/or when it last has been renovated, if you’re able to find out. If a hotel has been recently been renovated it will surely mentioned, be alert when it’s not. Personally I look wether the photo’s are old by juding quality. Eg where they scanned from a brochure or what fashion guests wear. Photo’s also often reveal the age of the furniture. Rooms with carpets are usually quite old. A room will always look larger on a photo than in reality. Check the actual room size (in square meters). Some photo’s will show facilities which aren’t there anymore, like a restaurant or a rooftop or pool bar. Always search for state of the art comments from guest reviews. Finally, almost all hotels wil have own websites. Google for it, judge the quality and when it was made. Often hotels with little maintenance will lack to maintain their website too. Sometimes the opposite is true and they will present a far too much glossy picture, often reflected in the room rates. Fact 7: Look who’s talking: People judge from their own perspective. Be aware that travelers from Singapore or Japan might have completely different (usually higher) standards than you. Inexperienced travelers quite often seem to have stayed in the same place in a parallel dimension. All I can say is that the only way to judge wether a traveler is most likely experienced or not, you have to be prejudice. If you are a single traveler you surely have completely different demands than honeymooners. If you’re not one of them, ignore comments from couples with babies. Nothing is worse than a protective mom. Even the smallest irregularity might harm the baby. Actually couples with babies should be only allowed in top-rating hotels. Couples with children seem to live in another dimension too: Or so to say: children happy, parents happy. Fact 8: Angry people are more likely to comment than the happy ones. Often very negative comments are not really about what was wrong with the room rather than how guests feel scammed and or treated disrespectfully by the staff or even by outside parties. The more mid-range a room gets, the harder it will be to interpret comments. In the high range hotels should score an 8 or more, if not, you will likely to be wasting part of your money. 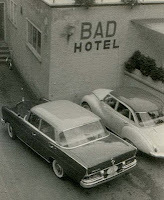 When among positive reviews one person writes a long horror story about a lower budget hotel, they are often out on a personal revenge mission. Inexperience and relational or personal problems may be annother cause. People who booked package tours will often not know the real price of the accomodation, so don’t have any real idea what value for money they get. The good thing is that often these people seeem to be able to locate (and exagurate) anything that is even slightly wrong with the premises. Note: From 100′s of bookings I made only once I ignored a comment which said the manager was rude to the staff when he was drunk. Since all other criterea were positive, I didn’t have second thoughts to book a room. After a week I found out the comment was an understatement, when he for no apparent reason other than that he was drunk, got extremely rude at me. Fact 9: Country specifics are being reflected in comments. Taking the Thailand as an example it generally has low standards for English or other language skills, noise in general, bathrooms, creepy crawly animals and breakfast. Also the season/weather influences comments. The less you are willing to pay the more you have to accept this. One can often find the above reflected in comments from less experienced travelers, since they tend to think the situation is specific for the hotel evaluated. 1. For a minimal budget all staff is expected to speak fluent English. Thailand has never been a Western colony and people are proud of it. Thailand still puts little effort on international dealings. The problem however mainly exists in less popular destinations. 2. Relaxed as they are, Thai people are able to handle a lot of noise and ignore it much better than Westerners do. In Thailand sounds of all sorts seem to be omnipresent, if you’re sensitive to sounds, stay out of lower class city hotels. 3. Western tourists expect a seperated shower compartment or at least do not like going to the toilet on a wet floor. Be aware that even some 3.5 star hotels will just have a curtain without any other seperation from the shower part. Seperated showers are only to be found in higher class and newer mid-class hotels. 5. Get used to the idea that in Thailand in low and mid-class hotels all Western people are assumed to eat toast, ham/bacon and fried eggs for breakfast. If you don’t like this, book without breakfast or skip it and eat somewhere else. 6. Thailand has a rain season for half a year from June till October. During this time people will spend more time in their room. Comments about the number of English channels on TV are a typical example. Fact 10: Hotel prices can be bargained with. Based on last minute, no. rooms available and duration of stay, prices are negotiatable. If you’re skilled enough you can call the hotel directly and start negotiating based on the available information mentioned on internet or otherwise book for a few days first and later negotiate your extended stay in the lobby. Usually you will need to talk with the manager. Mention the number of days you will extend and your price and see what happens. The longer you will stay and the lower the occupancy, the more interesting it gets. As a rule of thumb bargaining is worthwile the effort in mid-range hotels only. Except for longer stays, say seven days or more, high and low end hotels usually don’t find personal discounts interesting. Eg. if an accomodation is situated on an island with little compettition and little occupancy, room prices can easily be bargained with, especially when money is expected to be earned back through food and beverages. 1. A somewhat hidden link and little advertised link for bargains from Agoda is: agoda.com/specialoffers, which will, after you select a city bring up a page with hotels offering special deals in the area. All hotel classes are listed in random order, so one just have to go through all the deals. A nightmare for online bookers has come true: Since last year Google has stepped into the business as well. Instead of ‘hotels’ you can enter ‘resort’ to focus only on resorts. Google gives you a good birds eye view on what hotels generally cost in a certain location, so you will be much more aware of any bargain deals in a specific area. 3. Try Kayak and Priceline.com for last minute offers. Why 7/11's have locks on their doors?